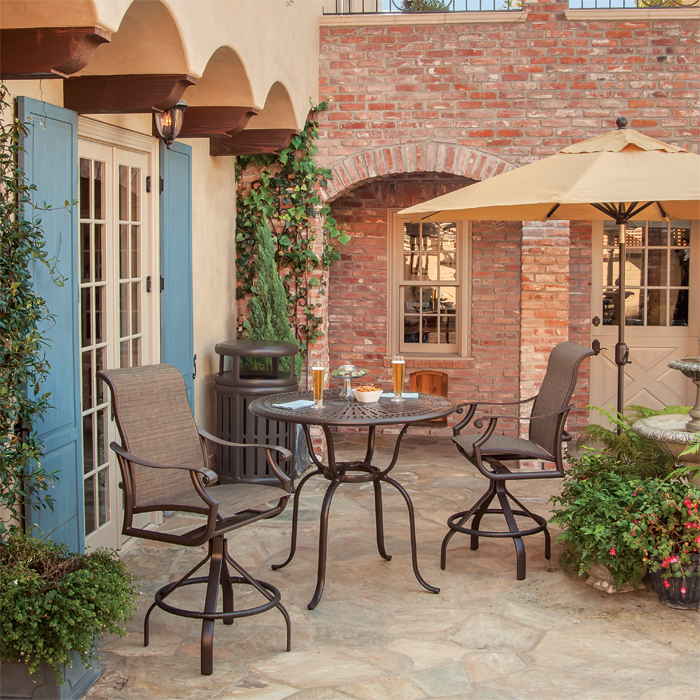 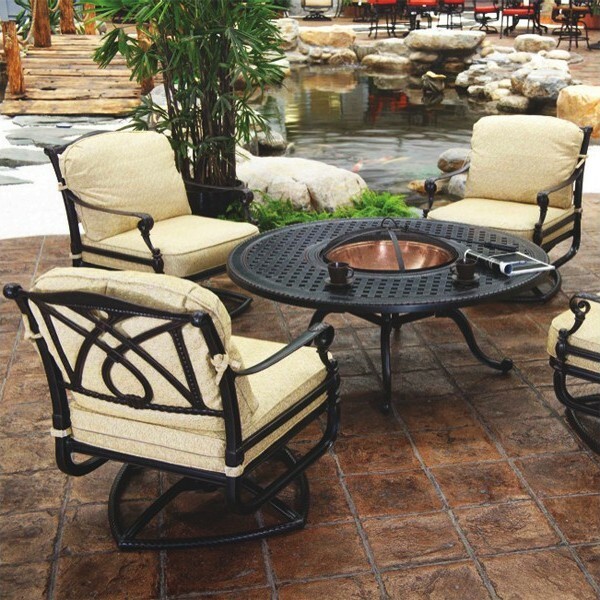 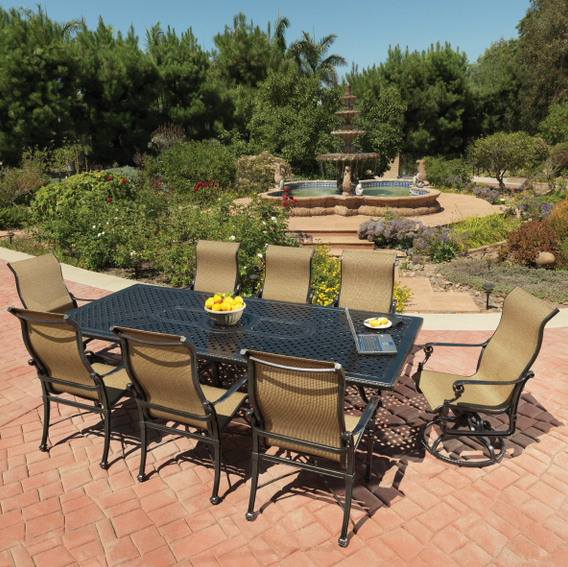 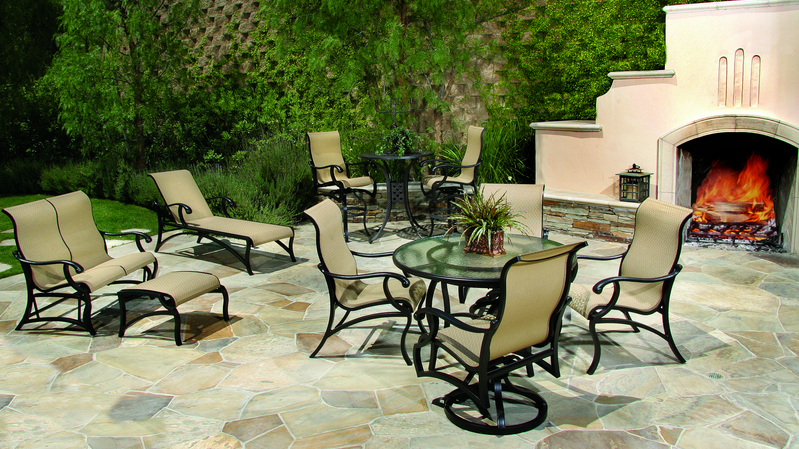 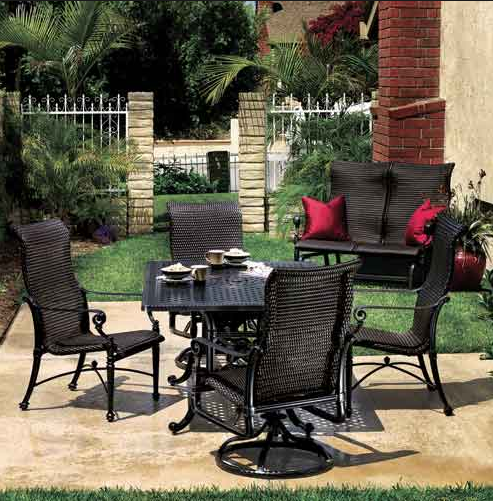 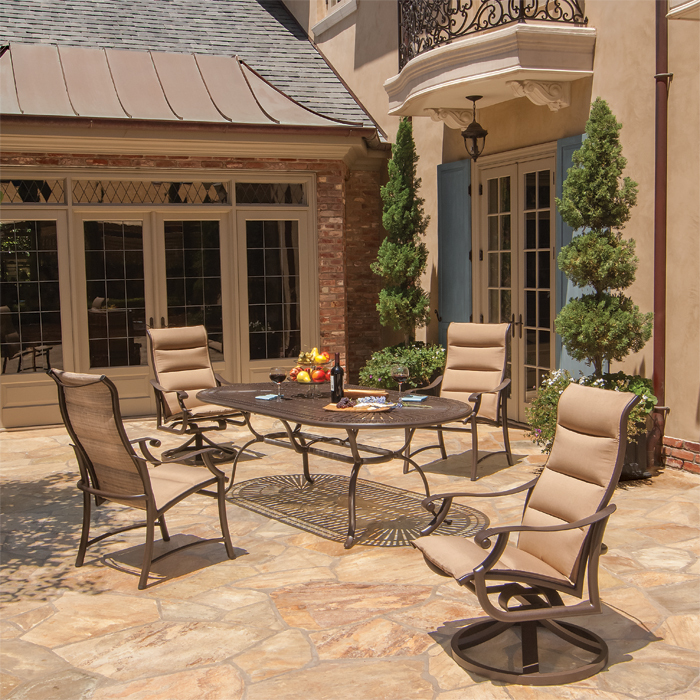 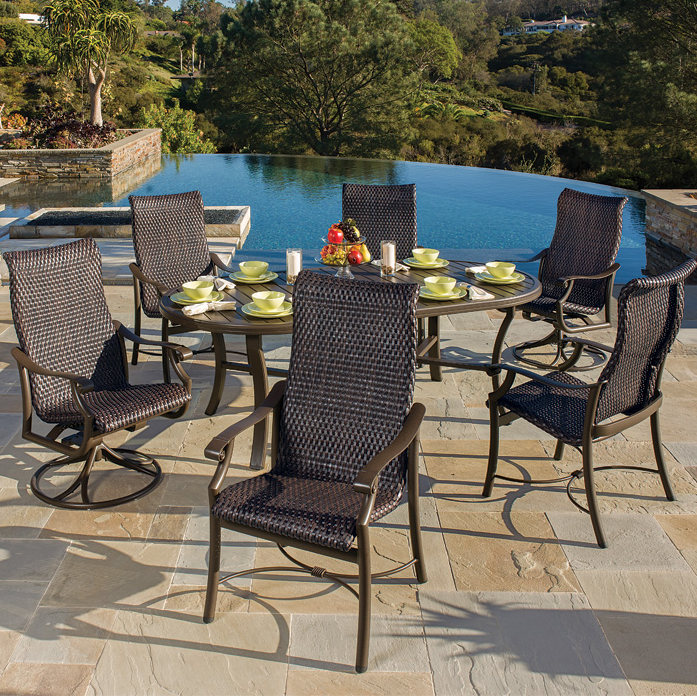 Our complete groupings offer pieces from several categories of furniture, allowing you to complete your outdoor space with furniture that is available immediately. 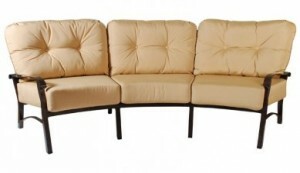 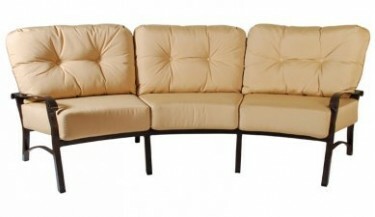 These groups have furniture for lounging around such as club chairs, ottomans, and sofas as well as dining groups. Many also have bar chairs, chaises and sometimes other unique pieces. 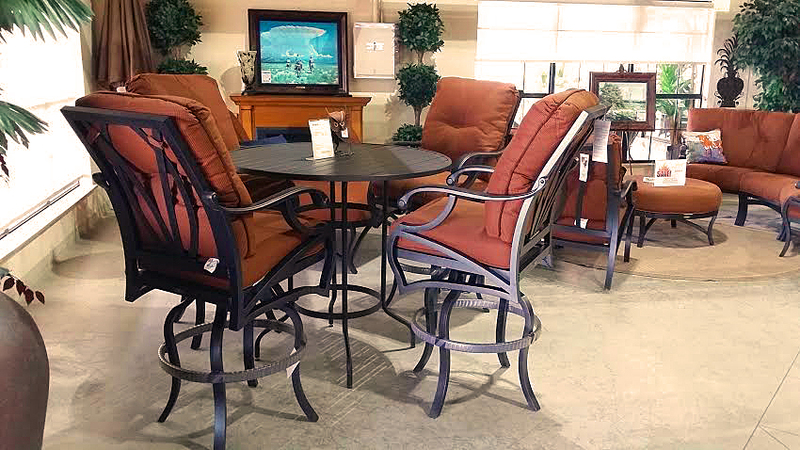 Featuring a full selection of elegantly designed patio furniture including cushioned, woven, padded sling and traditional sling materials. 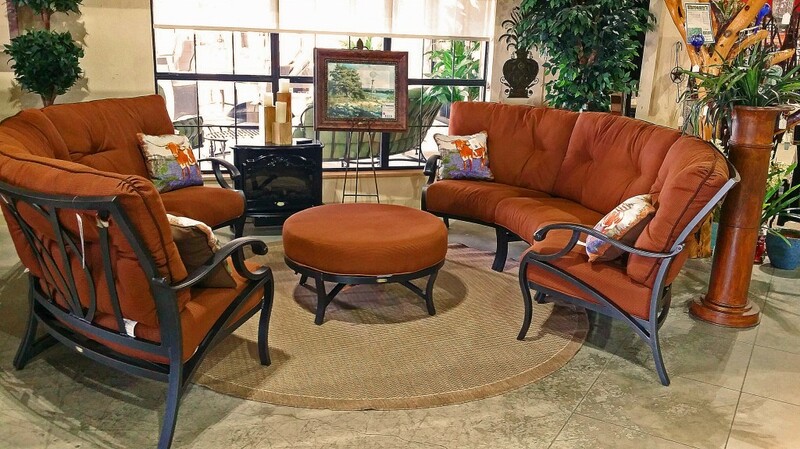 Choose from a full selection of in stock merchandise or custom order in your choice of fabrics and finishes. 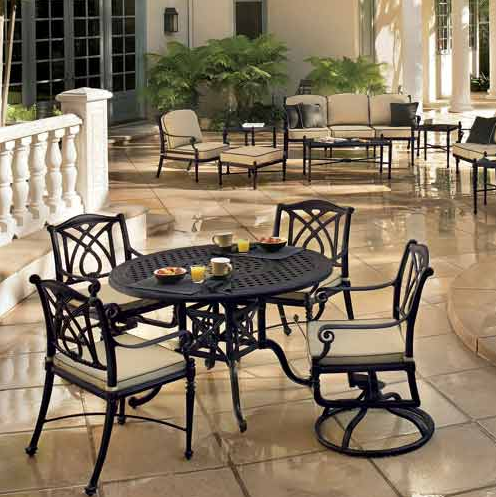 The Mallin Volare Collection is just one of the manufacturer’s works of art, featuring classic craftsmanship and styling that stand up to the passage of time. 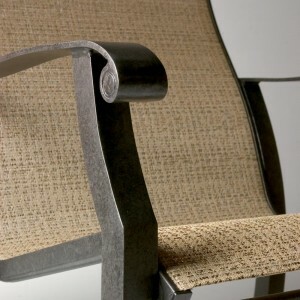 Cortland combines superb design and luscious fabrics with hefty welding and brilliant craftsmanship. 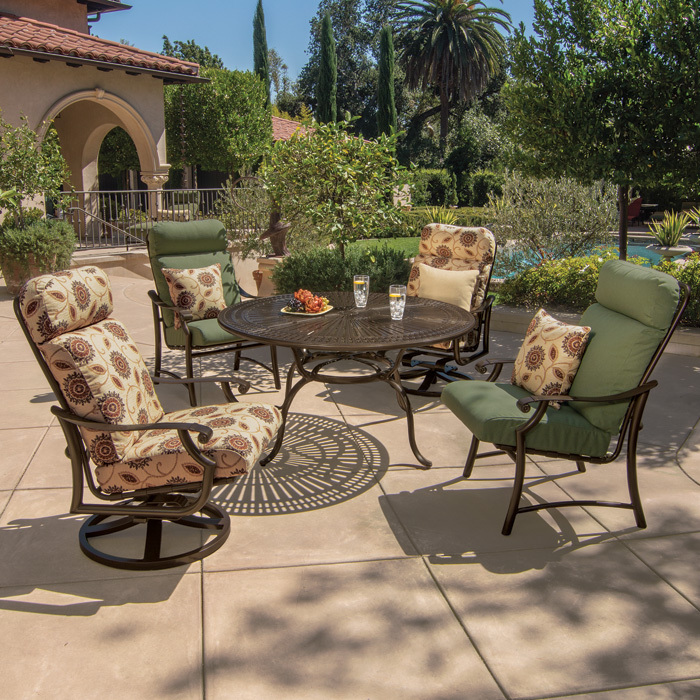 With timeless details and a rust-proof, aluminum frame, this sizable collection from Woodard features countless fabric and finish options to suit varying tastes and needs. 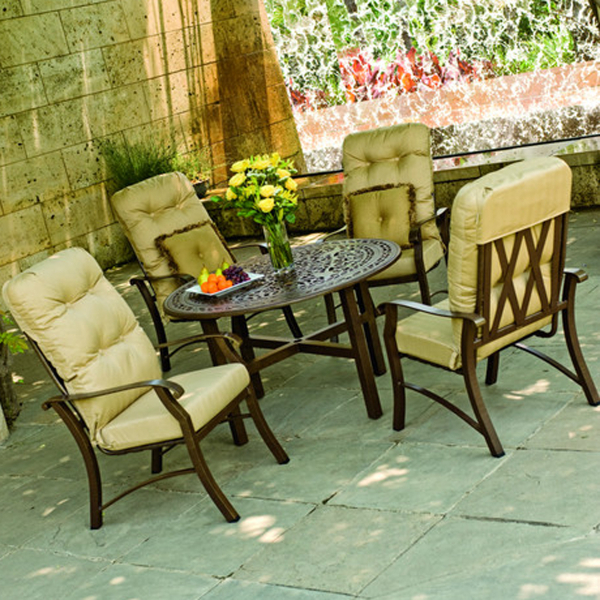 Gensun’s Grand Terrace furniture is manufactured using the highest quality materials, is expertly detailed and finished, and available at a very affordable price.